This is another band that I discovered while listening to 93.3 online. Not sure why I hadn’t heard of Amanda Palmer and the Grand Theft Orchestra before, considering she raised over a million dollars on Kickstarter and her album debuted at Number 10 on Billboard…without a record label! She just so happened to be coming through Denver on the same night that I discovered her. After listening to a few of her songs, I decided that I just had to go and see her and boy am I glad that I did! She put on a fantastic show and even crowd surfed while singing an entire song! Not only is she a Kickstarter darling, I love what she is doing with social media in general. 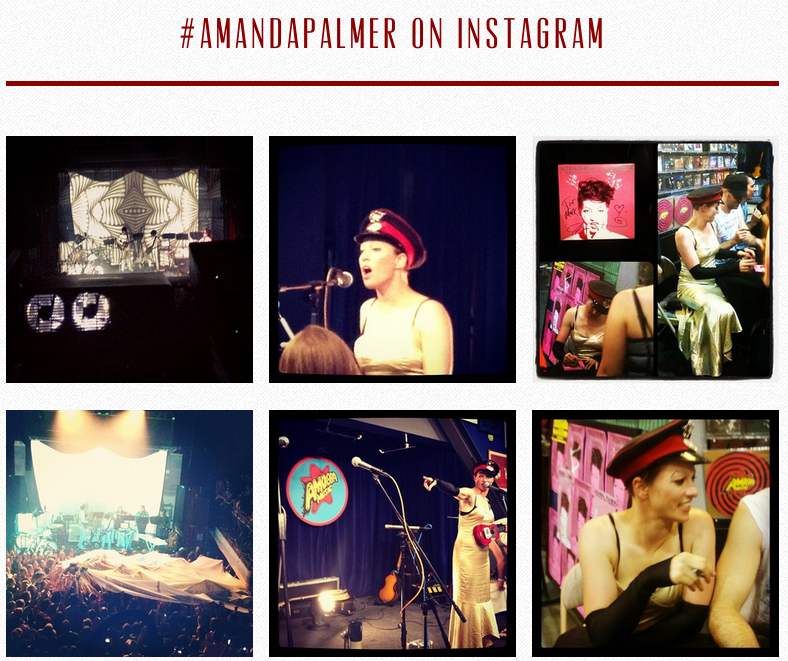 She has a section on her site where she features Instagram photos that have been tagged #AmandaPalmer. You can see two of mine up at the top right now (one on the top left, and then the one right below it too)! While she didn’t play the one song that I wanted to hear ‘Do It With A Rockstar‘, I did enjoy the rest of the set. Can’t you see why I wanted to hear this song? If she comes back into town soon, you know where to find me!